Alright, lads, we are here again to build another Hearthstone deck. 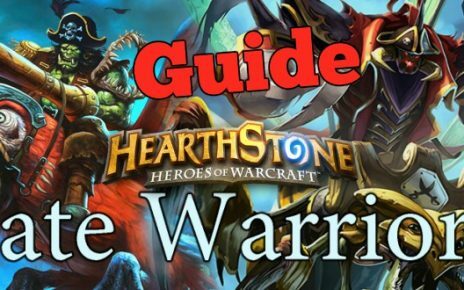 It is going to be another aggro deck and will be crafted towards a budget conscious beginner. This list will be like the Mid Range Hunter pack, although it is a little bit more expensive than that. The one we are talking about is the Token Shaman, which is a super fast deck and can usually end the match in 7 turns or less if Lady Luck favors you with good draws and an awesome starting hand. The strengths of Token Shaman is flooding the board with low-cost minions, coupled with token creating abilities by some of the cards. We will also be utilizing some of the minions that were in our previous deck building topic which is the Jade Druid since the some of the cards like Jade Spirit is a tri-class card which can be used by the Druids, Shamans and Rogues. 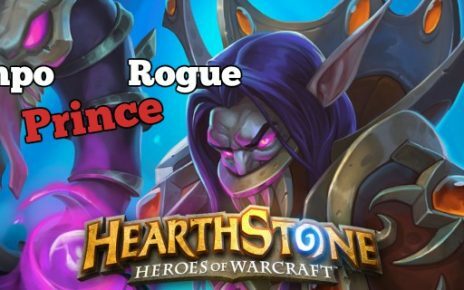 Without further ado, let us delve into building aggro Hearthstone deck, and I will also discuss some basics and tactics on how to play it properly. First things first, this list would cost you around 1920 Arcane Dust if you are just starting out. It could cost you a little cheaper if you get lucky with pulling some of the cards from Classic packs and also the Gadgetzan, Ungoro and Frozen Throne packs. This list is a little heavy on the Rare side, which explains the crafting cost since it features 16 Rare cards. 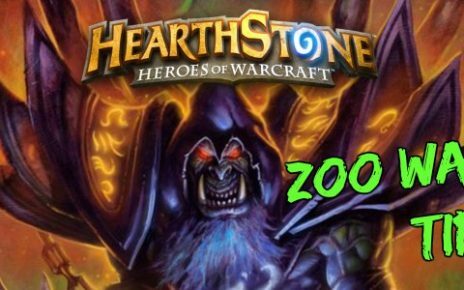 We are not going to feature Legendaries or Epics but if you do manage to pull Spirit Echo from Ungoro and also Aya Blackpaw from Gadgetzan, those are welcome additions. You also need to have at least 700 Gold to complete the first wing of Karazhan as you will need to unlock the Shaman Class challenge for the Maelstrom Portal reward. Now let us start with the cards needed. For the Rares, you will need to craft 2 Evolves, 1 Devolve, 2 Jade Claws, 1 Primalfin Totem, 1 Lightning Storm, 2 Mana Tide Totems, 2 Thing From Bellows, 1 Stone Hill Defender and 2 Doppelgangsters. The running total of those cards when crafted is 1400 dust since it is 100 per Rare card. It can be cheaper if you have some of these cards already. The Commons needed to be crafted are 2 Jade Lightnings, 2 Fire Fly, 2 Jade Spirits and 2 Bone Mares. This will set you back to a total of 320 dust. The cards that will complete your list will be the Basics like Flametongue Totem, Hex and Bloodlust. You will need two of each of those Basics and to complete the list, you will need the Karazhan reward which is Maelstrom Portal. The main purpose of this deck is to overpower your opponent’s board with small cost minions and to make them stay as long as possible on the board. These minions that would help you early game are the Fire Flies and the Jade Totems that will be created when you cast the Jade spells and weapons. Another minion that also creates minion tokens is the Primalfin Totem. If you have the Coin, Primalfin Totem and Flametongue Totem in your hand, it is best to Coin out the Primalfin as you will be able to summon the Flametongue on the second turn and deal 5 face damage to your opponent. Flametongue Totem is important at these early stages as you can dish out significant damage to your opponent’s face as it gives out +2 attack to the friendly minions beside it. You also need to protect them by summoning Totems by using your hero power like the Healing or the Taunt totems. Stonehill Defender is also one of the good cards used for early board defense as it has a low mana cost of 3 and grants you the ability to pull another Taunt card. If ever you have a chance to pull White Eyes from it, it should be your instant pick all of the time. If it is a little hard to defend your board or if your opponent is also flooding the board with their minions, it is very easy to clear those up with your AoE skills such as Lightning Storm and Maelstrom Portal. If you manage to summon a Spell Damage totem from the hero power, it is even better as these spells deal more AoE damage. For larger minions, you can either target them with Jade Lightning or use Hex on it. The Jade Claws weapon is primarily used to remove your opponent’s minions from the board, that way you get to preserve yours. By turn 5 and if your board is full and you have Bloodlust in hand, then it is game over for your opponent since Bloodlust will give all your minions +3 attack on top of what Flametongue Totem gives. However, if you are unlucky with the early game, do not feel threatened. Token Shaman has great potential even when going into the late game. You have the Mana Tide Totem as a way to draw out your deck so you can have all the cards you need to complete your combos. Remember casting totems using the hero power? That process actually discounts the minion Thing From Below, which is a 5/5 Taunt. Every time you summon a Totem, the cost of casting Thing From Below decreases by one. In the later games, you can actually have a formidable wall by comboing it with Bone Mare, creating a very sturdy and very big 9/9 Taunt. The late game combo for Token Shaman, if you are unlucky with the early game, is the Dopplegangster then Evolve combo. Dopplegangster is a 5 cost minion which summons two copies of itself as its Battlecry. Evolve is a 1 drop spell which evolves your minions to ones with one cost higher. Summoning Doppelgangster then using Evolve is like putting three 6 drop minions on your board for the cost of only 6. If that does not scare your opponents, I don’t know what will. Play around with the deck, experiment with it. You can even put the Pirate Package on it if you have Patches the Pirate and Bloodsail Corsairs, just remove Hex. If you have additional cards like Stonehill Defender, or Spirit Echo, you can always remove one Bloodlust for either of those. 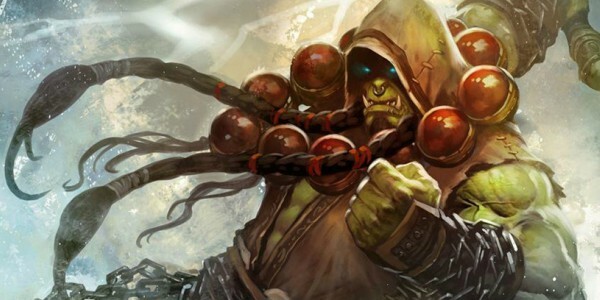 There are many ways you can experiment with this list, but as long as the core cards like Dopplegangster, Evolve and Primalfin Totem stay, you have a very handy and very strong Hearthstone aggro Token Shaman Deck. My own version of the Token Shaman. Good luck!